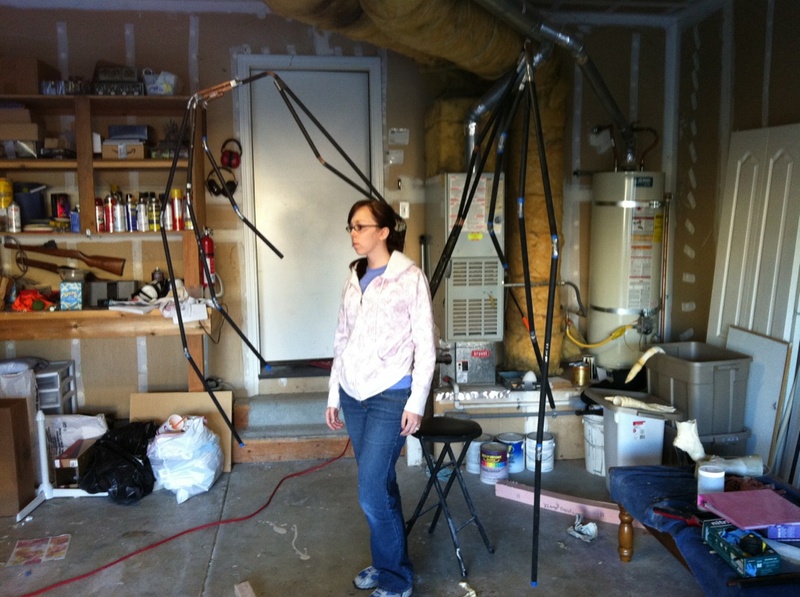 So last week, Mario told you all how he put together the skeleton structure of the wings. 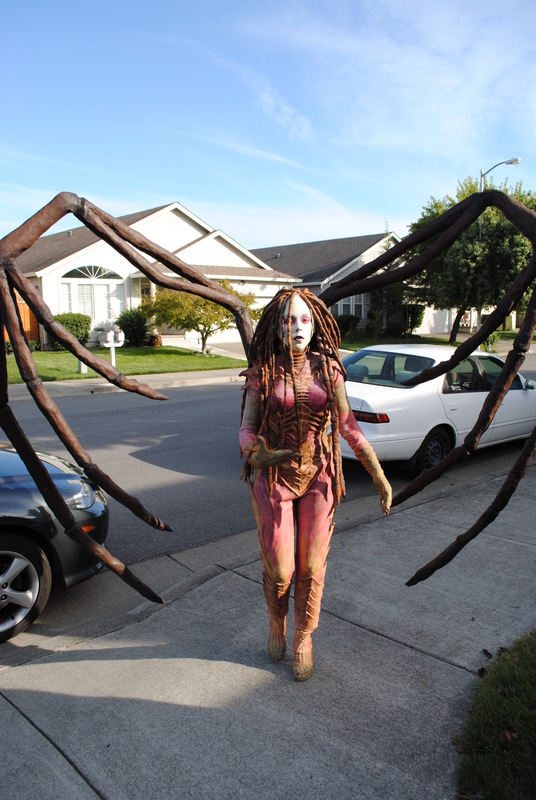 We were going to add how we finished the wings but we felt like the post was getting a bit long, so here you go! Alice has been diligently updating every week so I’m sure you can see how complex this build truly has been. It was a learning experience at every turn, and during a trip to our local Tap plastic I found they carry a machine wound fiberglass tube in several sizes. We decided to by one and see just how strong it was. 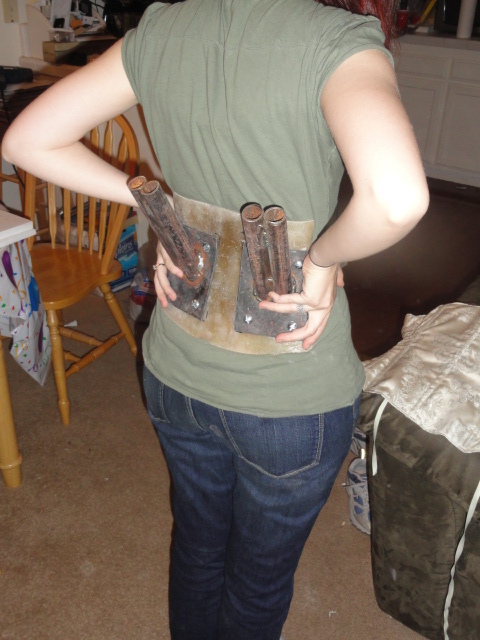 After some testing, we were willing to give an idea that I had running around in my head a try. I had spent some time in my youth backpacking an I knew that if there was any way to make the wings full sized then the weight would have to be carried on Alice’s hips. 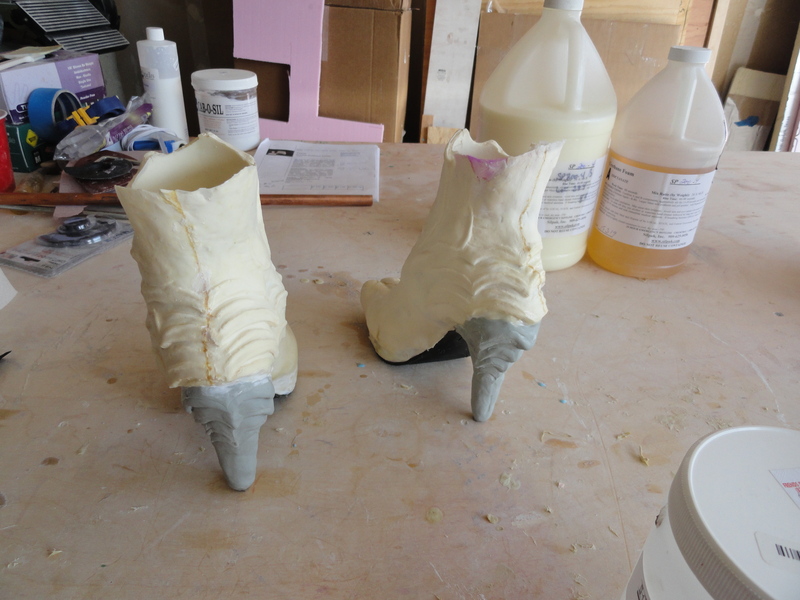 Now, one of the things that was the least stressful for me, stone molds. 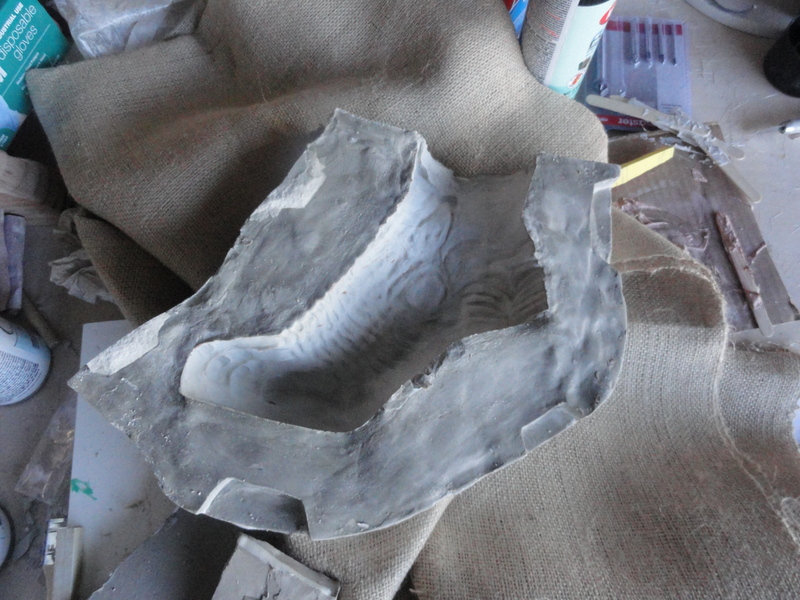 The basics of making a mold (no undercuts, mold line, the dreaded clay wall…) are covered in the fiberglass mold tutorial, so check that out first, I’m just sticking to what makes a good stone mold in this. 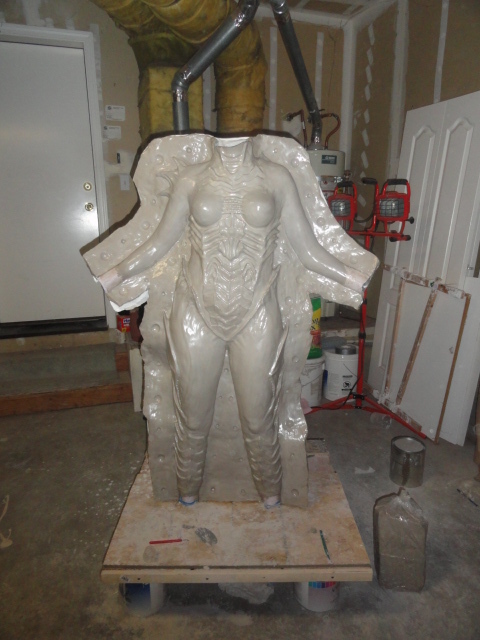 So I’ve already covered how to make a fiberglass mold, these are just tips about how we went about doing the body mold. 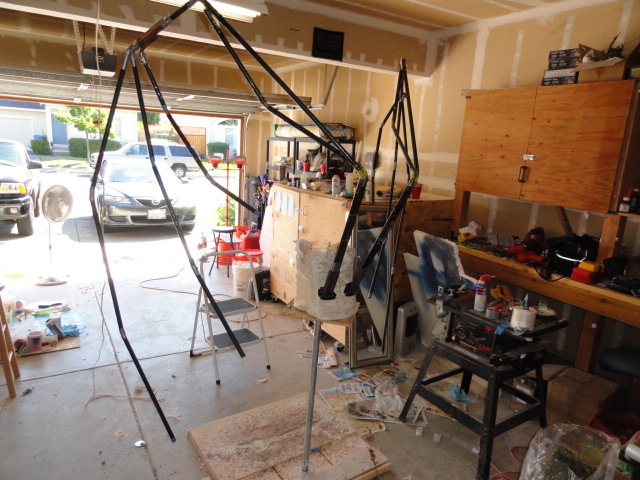 If you are making a body suit, or making a mold of something just as large, then have at LEAST one other person who knows what they’re doing with fiberglass working with you, but try to get more people to help. 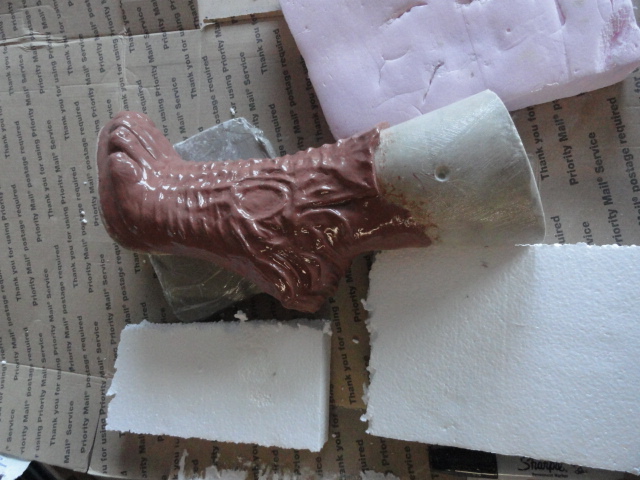 The more people who are making the mold, the quicker it will be done. 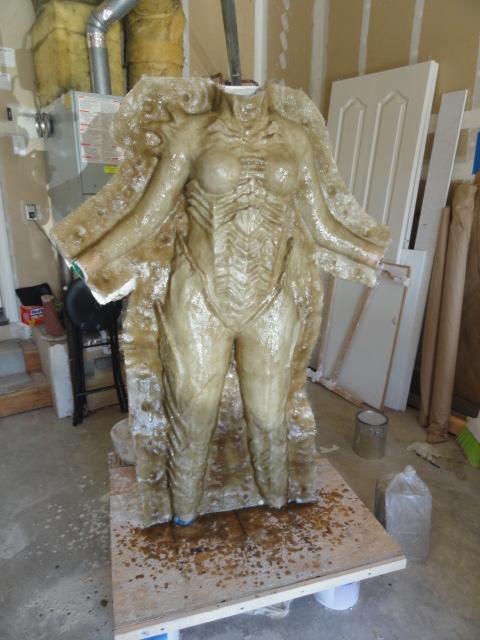 Mario and I worked two 17 hour days, only stopping for quick meals, to get the body suit finished. Make sure to have proper ventilation, and wear gloves and masks. If your suit has a lot of detail, it’s crucial to do a layer of gel coat. We used clear gel coat to help us see any air bubbles. 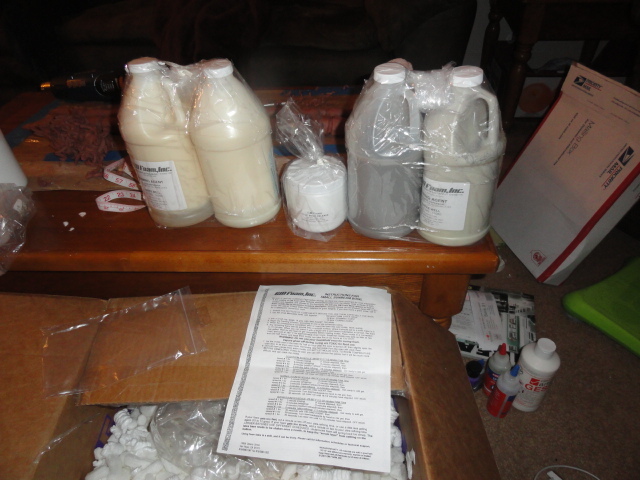 I covered all of this in the previously mentioned post on molds. We had some issues with the gel coat sliding, thin layers are better than thick, trust in the material. 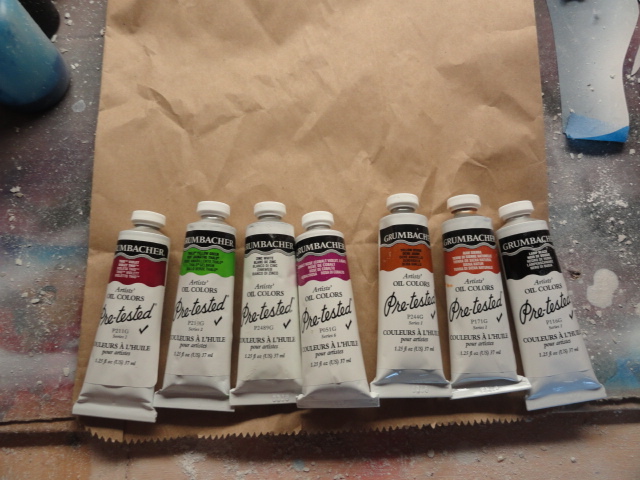 It’s better to do two or three layers of thin gel coat, than one thick layer. Make sure to read the directions on the can for multiple coats, because it’s specific on timing. 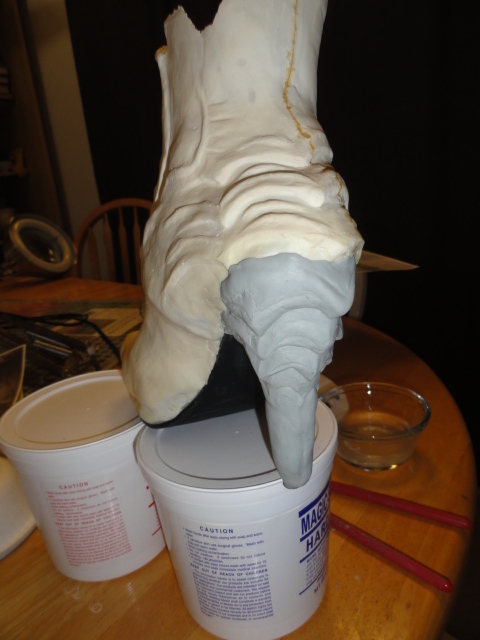 Oh, another important note, when you clean out the clay from the body form, make sure to put it in a bucket, and measure it so that you know the amount of foam latex you’ll need for the suit. Also, work quickly but also take your time with laying the fiberglass, so that there aren’t any air bubbles, or messiness. As always, let us know about any questions or concerns. Happy crafting!